I am writing this by candlelight during one of the now, much less frequent, blackouts due to power shortages. Everything is very quiet, no distant music or murmurs of chatter from the nearby compound, even the dogs have stopped barking, and there only the chirping of the crickets. A couple of weeks ago I was on a church weekend at Itehzi tehzi, a remote town situated near the dam wall of lake … at the bottom of Kafue National park. 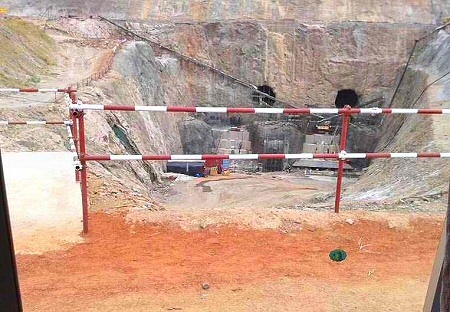 We saw some of the construction the Chinese are doing in Zambia when we passed a huge hole gouged in the wall near the dam, it is getting ready to house the new hydroelectric plant. I am hopeful that when it is completed our electricity supply will be even more reliable. As I may have mentioned before, Choma is now provincial capital for Southern Province and (reluctantly) hundreds – maybe even thousands of civil servants are moving into the area. This is not without its problems, and office space and housing are at a premium. This has caused some tensions between the locals and the incomers. For example Choma has one of only ½ dozen museums in the country. 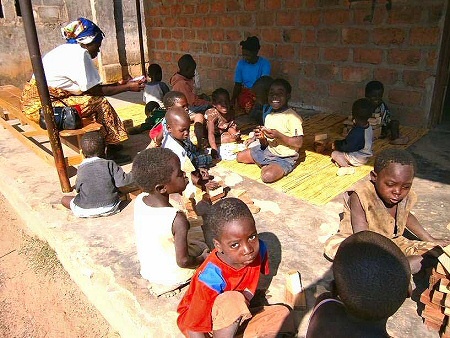 They are under the auspices of the education department, and the one in Choma, though small, is quite spacious and set in attractive grounds. The incoming education department decided to commandeer it for their new offices,(where the artefacts, café and shop would have gone is anyone's guess). A battle royal ensued, eventually ending up in the office of the vice president, Guy Scot who firmly pronounced the museum stays where it is. Another spin off of the move from Livingstone is the urgent need for accommodation, so we are thankful that houses 3 & 4 are well on the way to completion. The roof is on and we now have to furbish the inside and build the driveways & garden. We hope to ring fence most of the income from rent to continue the building programme with the view to making Chodort sustainable. The building programme is inextricably linked to the other parts of Chodort too, in that the workshop will make all the doors wardrobes and the fitted kitchen, and the carpentry students had some excellent hands on learning when they built and fitted the roof trusses. We have recently heard from Rev Schluter that both his consistory in Dortmund and Synod office have contributed generously to our request for building the next four houses on the new plot. We will now be able to complete them and lay the foundations for houses 7 & 8. We thank God for their generosity, which will see us well on the way to financial independence. Other good news is this year our classes which traditionally cater for more vulnerable students are nearing capacity. The carpentry class now has 15 students and tailoring 21. We had a flush of late arrivals because the almost 6 month delay in funding from the Global Fund that supports 15 – 16 vulnerable young students who otherwise could not afford the fees. We took 15 students on at the beginning of term 2 anyway, and are hoping that we will be given the full amount requested this year. I am very grateful that Chodort has such dedicated and talented instructors who are not only willing to work on weekends but volunteered to give up their bank holidays so their new students can catch up with the others. Even our computer course instructor is working onem. 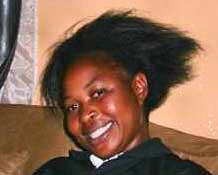 Well done Gersham, Dublin and Mrs. Siamalambo, I am very p his bank holidays to deal with a virus in the systroud of you. The 2 holidays they are working on are called Hero's day and Unity day, and they nicely balance the 2 Christmas bank holidays, being 6 months apart. When I think of hero's - people in the news recently spring to mind. Once of course is David Livingstone, who's Bicentenary we have just celebrated. He was loved by the indigenous peoples as well as being admired by those who were culturally more similar. The other is of course, the now very frail Nelson Mandela. During the troubled days of apartheid Zambia was a good friend to the ANC and harboured many of its members, when things got too hot in their own country (former South African president Thabo Mbeke's wife studied at MEF where I also worked until I moved to Chodort). The other bank holiday is Unity day. This reminds me that Zambia is compiled of 72 different tribes, with their own languages and customs, bound together within a colonial boarder. 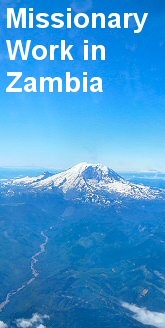 Many are the examples of tribal enmity in sub Saharan nations, but Zambians pride themselves in their peaceful nature, partly brought about by a strong sense of national identity, a good deal of which is due to another Zambian hero, Kenneth Kaunda the first President who coined the phrase One Zambia; One Nation. He is still politically active well into his 90's and is sent by the PF government as a goodwill ambassador to other nations. We also have 2 workers at Play4all helping Ernest. One Mia, is from Canada, and here for 3 months with a scheme from Douglas College Vancouver. She is busy setting up a Facebook page. The other is a local person Jane, who has just completed her teachers training and will help with paperwork and group working with the children. We are sure they will both be great assets to Play4all. Paul Chitty, our VSO site manager has decided to return home early due to the frailty of his father. Prayers for the whole family please. Please pray also that we find a replacement for Paul who will leave us sometime between now and October. We also have two proposals in the pipeline for classrooms for the new college, and one for creating a solar computer classroom for a school in Ndola which is not on the grid, and would value your prayers for these. A very special thank you to our friends in Germany who have supported us magnificently by giving us money to build 4 more houses on the new college plot. For committed and talented workers at Chodort Training Centre. For the remarkable recovery of Mr. Musonda, our tailoring teacher, from his stroke. For the synod Bishop who is trying to visit all the presbyteries this year and offer pastoral guidance to all church workers under the title of “the church transformed through diligent stewardship”. CHODART COLLEGE COURSES, CHOMA, ZAMBIA. I.T. - a 6 month course for 64 students, mainly middle class , fee of £183 affordable. Tailoring: a 1 year course, mostly girls, fee of £250. Carpentry: a 1 year course, fee of £300 - actually £648 in college costs This course, in particular, offers scope and future employment on the nearby building site, where a housing project is on going, and wood work products are made bespoke to white farmers and the Indian community. 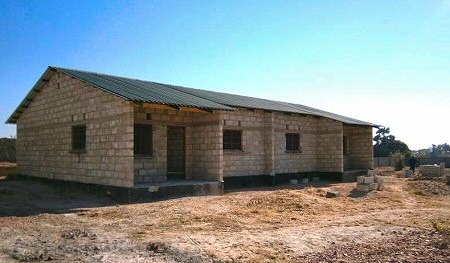 However, the Carpentry Course needs support; only 13 enrolled this year as opposed to 22 in tailoring. The reason is drop in funding. The charity United Churches in Zambia committed to support 8 students in carpentry and 7 in tailoring via the global fund could not match this, only 50% last year and 25% this present year. The dilemma for Jenny is whether or not to pull out of the Charity funding; that being the case, there will not be sufficient funds for 10 students (minimum number) and especially as many a vulnerable student will be denied future prospects of skills and work in this field. The Course is TEVET approved, with final exams,and includes other modules such as H.I.V. education and entrepreneurial skills 2 hours a day. There are already 3 sponsors from the U.K., possibly a 4th for the academic year, 2014. Therefore to support a student in the Carpentry Course in Chordart College, Bennochy Church has sent a cheque for £398.50 to Jenny. This will cover fees for a student in the Carpentry Course, 2014, and the costs of a Dust Coat for working and the Exam fees at the end of the year. Any sum left over will be used on the course.